This week has been a rather shocking and sad one, not only for Canadians, but around the world as Canada came under attack by two radicalized individuals who allowed their ideology of hate take two innocent lives. On October 20, 2014 a Canadian soldier (Warrant Officer) Patrice Vincent was run over by a vehicle driven by Martin Couture-Rouleau in St-Jean-sur-Richelieu, Quebec. This was a targeted hit-and-run, but police were able to catch up with Couture-Rouleau who was killed following a high-speed chase. 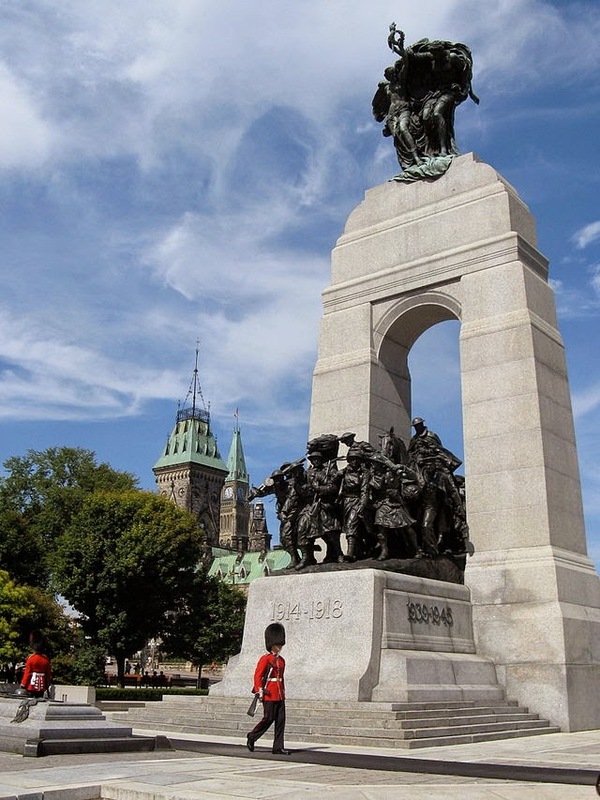 On October 22, 2014 another Canadian soldier, Corporal Nathan Cirillo, who was standing guard at the National War Memorial in Ottawa, was shot by Michael Zehaf-Bibeau. He then proceeded to the Canadian Parliament, the Centre Block, where MPs were attending caucus meetings. Zehaf-Bibeau was confronted and killed by Parliament security, in the Centre Block. I watched a lot of this action as it unfolded on live TV and was shocked to see Canada come under attack by these radicalized individuals. Watching the cell-phone video, taken by a Globe & Mail journalist, was chilling, as a barrage of shots rang out. These two attacks against Canadian armed forces and the Canadian Parliament are attacks on every Canadian. I’ve personally not seen anything like this in my 15 plus years in Canada. Is Canada coming under attack because we joined forces to support the war against ISIS/ISIL? Probably. I guess, though I was shocked to see these terrorist attacks unfold on Canadian soil, I’m not completed surprised. Canada is a peaceful country and mostly joins forces in peacekeeping roles when called upon by the world. Therefore, I had mixed feelings about Canada joining forces against ISIL in a combative role. Canadians were divided in terms of sending our troops to war against ISIL, but because the Conservative government of Canada has a majority in the Parliament, the motion passed through. Having said so, it’s too late for this to be undone at this time and we as Canadians need to stand together, shoulder to shoulder, and heart to heart. As our National Anthem goes…”O Canada, we stand on guard for thee”. And this is exactly what I’ve seen so far, as Canada came together during a very sad week. I feel proud to be Canadian because even though we were shocked and saddened, as we witnessed these cowardly acts, and sad events unfold during this week, Canadians showed solidarity. The Canadian Parliament resumed the very next day with all the MPs meeting as scheduled in the House of Commons to show commitment and resolve. It was great to see the government and opposition both stand together as they honored Kevin Vickers, the sergeant-at-arms, who played a pivotal role in bringing down Zehaf-Bibeau in the Centre Block. Global leaders from every corner of the world publicly sent in their support and condolences. From our southern neighbours in the US to Israel to Australia and New Zealand, messages of support and solidarity poured in. Though these sad events caused a lot of pain and grief, it was comforting to see how Canadians and the world came together, especially the outpouring of support by fellow Canadians. Also, it was very touching to see all the people who came out to show their support as Corporal Nathan Cirillo's body was making its way from Ottawa to Hamilton, passing through the Highway of Heroes. My thoughts and prayers are with the families and loved ones of WO Patrice Vicent and Corporal Nathan Cirillo, and all those affected. May the souls of these two heroes rest in eternal peace. Also, my heart goes out to the families of the two radicalized individuals who perpetrated these criminal acts of violence.